Mario world: RHIT's Ally Cross places white dots on her Marioland mushroom. 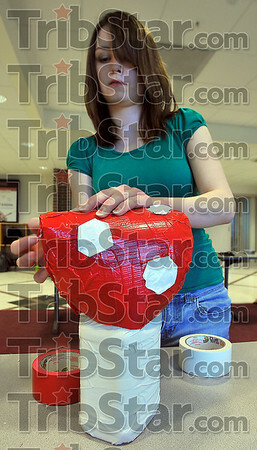 The plastic fungus was her entry in the school's Recyclomania project Thursday night. Cross is a junior from Summit Ill. majoring in Chemical Engineering.